ACDC Guitar Riffs "Dirty Deeds Done Dirt Cheap" - Free ACDC Guitar Riffs! 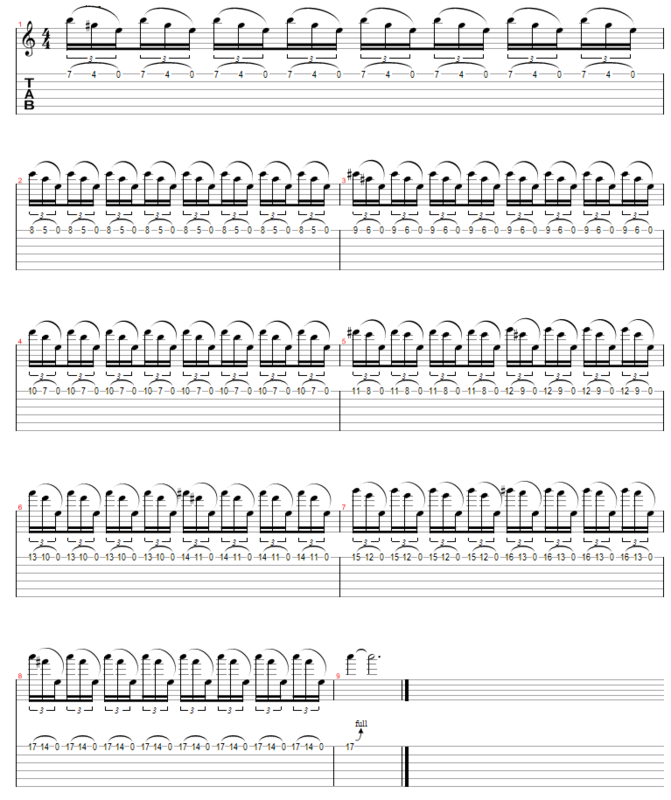 This free ACDC Guitar Riff is "Dirty Deeds Done Dirt Cheap". Here's part of the solo (~2:16 seconds) that just repeating chromatic 16th note pull offs on the high E string. Sounds easy enough but Angus play this riff fast. Start off playing this riff slow and work your way up to actual speed. Check out the Guitar For Beginner page for more about chromatic and what it means.